Welcome to the Redeemer Renaissance After-School Program. Thank you for selecting us to meet your family’s child-care needs. We are committed to providing a secure, warm, loving, and enriching environment for children in our program. We look forward to an exciting year and are delighted to have your family join our family. The Redeemer Renaissance program is crafted around relationship-building, artistic and musical expression, intellectual development, academic support, and community outreach. Numerous arts and crafts projects, field trips and visits from guest performers and speakers have been planned. Homework help is available. Children and families will also be invited to participate in community outreach activities such as food drives and monthly community service projects. activities to do homework. On days when the children arrive early and on Teacher Professional Days, extra activities and/or outings will be planned. Private music lessons are available for many instruments at a cost of $35 per half-hour lesson. 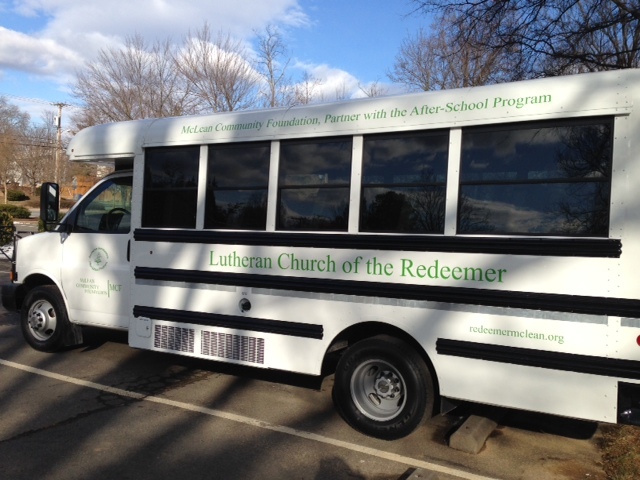 Payment for should be made to Redeemer After-School Program and is due each week. Absence from the program is the only reason for cancelling a lesson. For reasons other than illness or family emergency, Redeemer Renaissance must be notified of an absence at least 48 hours in advance of a lesson to avoid being charged for it. In the event or illness of family emergency, please notify the program as soon as possible. If the teacher needs to cancel a lesson, every attempt will be made to reschedule the lesson. Private tutoring is available at a cost of $70 per hour. Length of tutoring sessions can be established with input from parents and the tutor. Payment for tutoring sessions should be made to Redeemer After-School Program and is due each week. Absence from the program is the only reason for cancelling a session. For reasons other than illness or family emergency, Redeemer Renaissance must be notified of an absence at least 48 hours in advance of a session to avoid being charged for it. In the event of illness of family emergency, please notify the program as soon as possible. If the tutor needs to cancel a session, every attempt will be made to reschedule the lesson. If Fairfax County Public Schools are closed for inclement weather, the Redeemer Renaissance After-School Program is closed. If Fairfax County Public Schools open late, the Redeemer Renaissance After-School Program will be open normal hours of 3:00PM until 6:15 PM. If Fairfax County Public Schools close early, the Redeemer Renaissance After-School Program will be closed. and check your email. You are also invited to call Redeemer Renaissance at 904-556-7234. The Redeemer Renaissance After-School Program will be closed on all holidays recognized by Fairfax County Public Schools. Redeemer Renaissance will be closed the Wednesday before Thanksgiving and the Friday after Thanksgiving. The Redeemer Renaissance After-School Program will be open on teacher in-service and preparation days. Please refer to the calendar that follows. If your child will not be in attendance on any day, please contact us. If you don’t contact us, we will contact you. Unless notified otherwise, students will be dismissed from the foyer through the glass doors closest to the Chain Bridge Rd. parking lot. For the child to be released, individuals unfamiliar to RRASP Staff must show a photo ID when signing children out. Children will only be released to individuals listed on the “Emergency Contact and Health Card,” or otherwise designated in writing. Children may be signed out from the Redeemer Renaissance After-School Program any time after they arrive, but must be signed out by 6:15 PM each day. There will be a $10 fine for every 10 minutes late or portion of time thereof after 6:15PM. Staff must be notified by 6:15 PM on any given day regarding a late pick-up. Otherwise an emergency contact will be called. brought into the facility, they will be confiscated. not be forced to eat, but they will be encouraged to taste the provided snack. Water will be provided to drink with the snack. Personal Electronics are generally not permitted at the Redeemer Renaissance After-School Program. Cell phones may, however, be used to call parents or teachers, but only under the supervision of a Redeemer Renaissance staff member. Clothing depicting any form of lewd behavior, bullying, aggression, violence, disrespect, controlled substances or foul language will not be tolerated. Children are requested to wear socks or white-soled shoes on our gym floor. Students may wish to keep socks in their back packs. affect arrival or dismissal time. Before any off-site outing, a permission slip with the details of the outing will be sent home requesting parent/guardian permission for children to participate. Please complete and return these forms within the allotted time. In an effort to reduce illness, children will be asked to wash their hands upon arrival, after toileting or nose-blowing, and before eating. Children who show signs of illness must be kept home until they have been symptom free for 24 hours before returning to the program. If fever, nausea, diarrhea, or signs of contagious disease are present when the child arrives or develop during the program’s operating hours, a parent or emergency contact will be notified. The student should be picked up within one half hour of being notified. date. Both prescription and non-prescription medication will require physicianinstructions and written documentation signed by a parent/guardian and doctor. 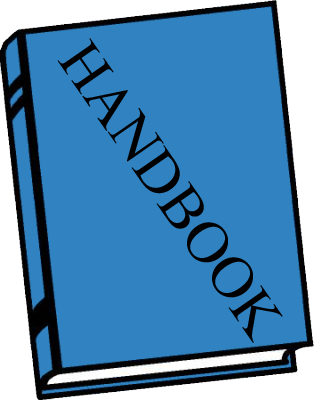 Medication Consent forms are available on the forms page on our web site. If a case of head lice is discovered at Redeemer Renaissance, the Director will notify each family with an email. Parents should monitor their children for head lice and nits. Children must be free of lice or eggs to attend our program. Every effort will be made to prevent accidents, but in the event there is an accident, parents will be notified and a written report will be kept on file. In the event of a medical emergency, emergency personnel will be contacted immediately. Parents will also be notified. Authorization to contact the child’s physician and seek medical attention is part of your enrollment agreement. Nothing is more important to the staff of the Redeemer Renaissance After-School Program than the safety and well-being of the children in its care. Therefore, in addition to dismissal, health and behavior policies, the following additional procedures and policies have been established. Staff will greet buses each day. Regular fire and tornado drills will be conducted. Doors will be locked each day during hours of operation. If it is necessary to evacuate the building, students will be walked to McLean High School, and every attempt will be made to notify parents. of the event to avoid a late fee. that seems impaired in any way. The Redeemer Renaissance After-School Program strives to provide a warm and welcoming environment for students and families. Our expectation is that everyone in our community will behave in a respectful, responsible and caring manner toward one another. The following behavior and discipline guidelines have therefore been established. Any form of lewd behavior, bullying, aggression, violence, disrespect or foul language will not be tolerated. o First Infraction: Student will receive a warning. o Second and Third Infractions: Student will be separated from other students and parents will be notified. o Fourth Infraction: Student will be suspended from the program for a period of one week. No tuition will be refunded. 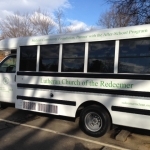 o If unacceptable behavior continues after the period of suspension, the student will be dismissed from the After-School Care Program of the Lutheran Church of the Redeemer. No tuition will be refunded. Tuition for the Redeemer Renaissance After-School Program is $415 per month regardless of the number of days in session and/or in attendance. Tuition is paid on the first of the month, one month in advance. The first month’s tuition is due within two weeks of acceptance. There will be a $20 late fee if the tuition is not paid by the fifth of the month, September through May. There will be a $20 fee for any returned checks. It is strongly recommended that families use “Simply Giving” to have tuition fees directly withdrawn from a checking account. The Director of the Redeemer Renaissance After-School Program must be notified in writing by the first day of the month previous to withdrawing your child/children from the program to avoid being charged tuition for the month of the withdrawal. Families currently enrolled in the Redeemer Renaissance After-School Program are guaranteed enrollment in the program throughout elementary school. Each January, families will be given the opportunity to re-enroll in the program. There will be a re-enrollment fee of $50 per family. Sandy Kessinger is the Lead Pastor. Bill Parks is Director of Church Operations. Tammie Koenig is the Director of the Redeemer PreSchool. The phone number for the church is 703-356-3346. The garden surrounding the fountain near the Preschool playground is a memorial garden with interred cremated remains. You are welcomed to enjoy the garden, but please respect it. Parking may occasionally be limited because of activities of the church. An activity schedule is available at the church website, http://www.redeemermclean.org. Beginning September 7th, worship will held at 8:30 AM, 9:45 AM and 11:00 AM on Sundays. This schedule may change to 9:00AM and 10:30AM during the summer months. Please consult the church website for more information.